I’ve always been accused of tipping ‘too much’. There’s no such thing. People, in especially the service industry, slog a lot. 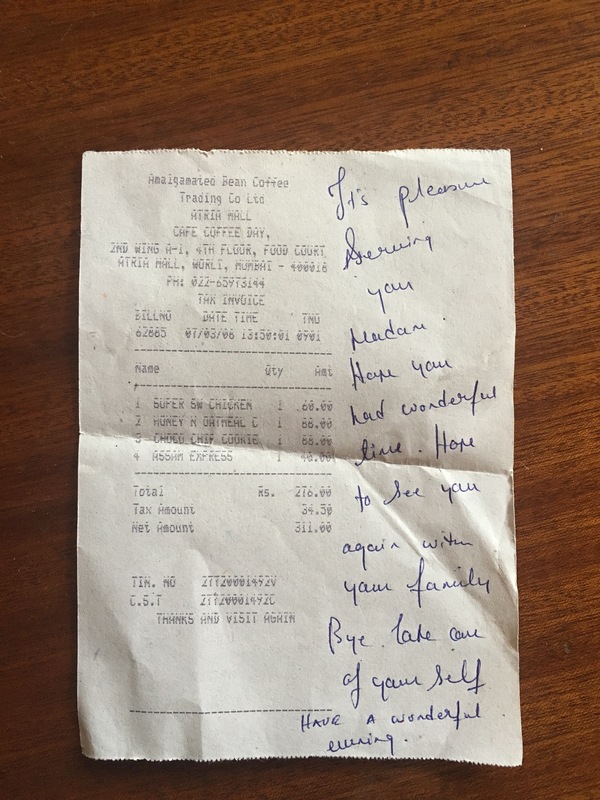 I have got this receipt from when I was in Mumbai in 2008. My total was Rs. 311 & I put down a Rs. 500 note and asked him to keep the change. He came back with this note written, and a sweet for me. It made my day. I kept the receipt. It makes me happy to read it every once in a while. Previous Anonymous abusers, do get a life!